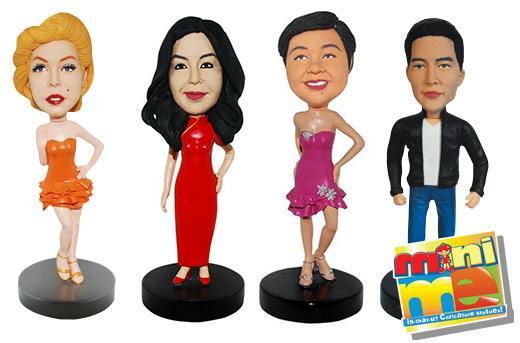 Mini Me Caricature Dolls as the Perfect Gift! This is by far the most awesome and easiest gift! It’s a little bit expensive, but well worth it. The discount voucher is quite useful because that’s a Php701 discount. I was looking for the perfect gift for my boss’ birthday. She usually sports designer goods, and I can’t afford the stuff that I think she might like. But, this one is perfect! It came out really cute, and she was very flattered. It’s now displayed on her desk at work. It’s since become a conversation starter and even serves as an icebreaker during meetings. I bought four more vouchers last week, and I’m planning to give each of my favorite clients a caricature doll of themselves. I think I’ll score some huge pogi points because of this. Make sure to bring a good photo so that they can accurately include small details like moles, dimples, and eyebrows. When I ordered the doll for my boss, I had to send a few photos. It wasn’t really a bother, and it turned out quite beautifully. This is a really great personalized gift and is perfect for anyone and everyone. This Kate Spade bag is everything I want in a bag. It has a long strap that you can comfortably sling over your shoulder and hand straps for when you want to carry it more fashionably. The multiple zippers and compartments allow me to organize my bag really well. I can put my phone in one pocket and my keys in the other so that I don’t have to worry about getting micro scratches on the screen. The best thing about this bag is that it’s lightweight! One thing I look for in a bag is a lightweight yet sturdy fabric that will endure daily use. I’m not one of those girls who take extra care of their bags, so I need sturdier materials. But, I absolutely hate using bags that are already heavy without anything in it yet. 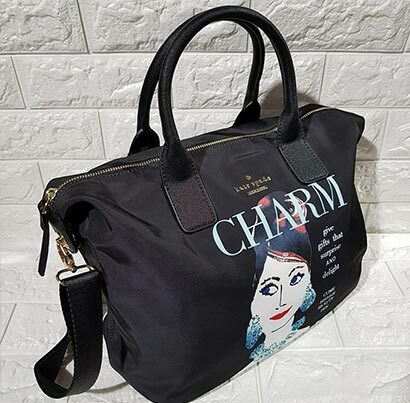 With this Kate Spade bag, I can bring everything I need – my makeup kit (which can become heavy), car and house keys, wallet, coin purse, cologne, and more – without having to worry about it becoming too heavy. It’s totally worth its price. Thanks, Metrodeal! What I hate most about having multiple gadgets is not being able to charge them at the same time because all the sockets are already being used. I live in a condo with limited sockets, and my husband and I always need to take turns charging. Between the two of us, I think there are a total of 7 gadgets that need charging on a daily basis, including our smartphones, tablets, power bank, wireless headphones, and Bluetooth speaker. 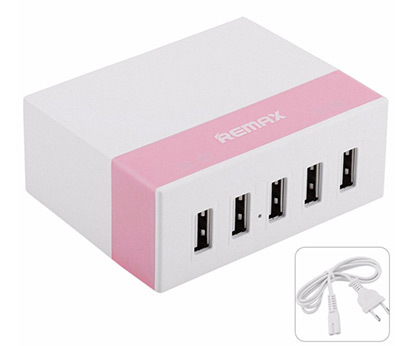 So when I saw the Remax Fast Charger Adapter with 5 USB Ports on Metrodeal, I immediately bought them. Now, I can charge all my gadgets at the same time! I absolutely love this charger! I take it with me when I travel so that I don’t have to worry about having to find multiple sockets. I also like the part that it has its own 1.2-meter-long power cord so that I can have all my gadgets on my bedside. I can play with my phone or answer emails comfortably right before bed! It also charges fast. I tried charging 5 gadgets at the same time, and the charging time was not reduced! I even tried using the Ampere app on my phone, and it registered 1900. I think that’s pretty amazing for such an affordable product. We love our entertainment system! As a family, we have movie nights every weekend with it, and we still intently use our component when we want to have spontaneous sing-along parties or whenever we feel like listening to the radio. But with a big family comes a lot of things getting lost. For many times, we lose our entertainment system remote controls because they get passed around a lot; and with three high-spirited kids, it can be hard to keep tabs on who used what. 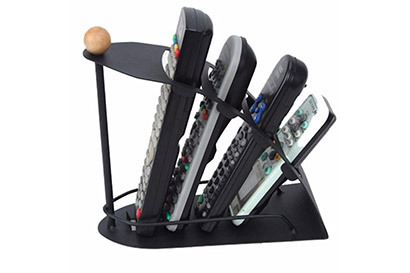 It’s a good thing MetroDeal had a sale on this sleek remote control organizer. It can hold all four remotes that we need, no matter how small or big they are. 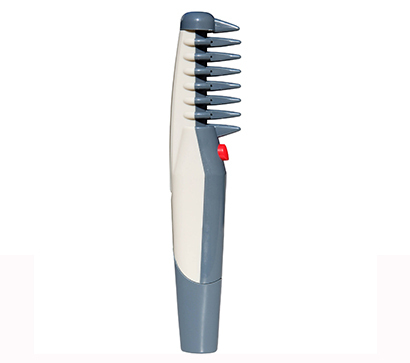 The sturdy metal material assures us that no matter how rowdy our brood gets when we’re having fun, our remotes are still standing upright, damaged-free. It’s a great addition to our entertainment system set-up!